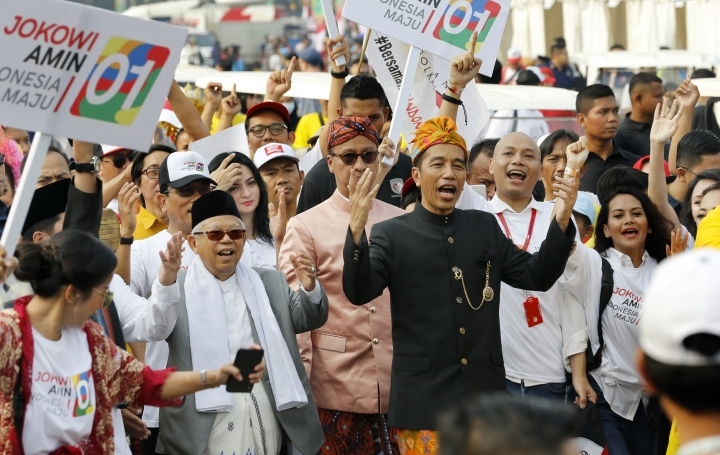 JAKARTA, Indonesia — Campaigning for Indonesia's presidential election officially began Sunday with the two contenders releasing white doves and vowing a peaceful race as concerns simmer the campaign will sharpen religious and ethnic divides. 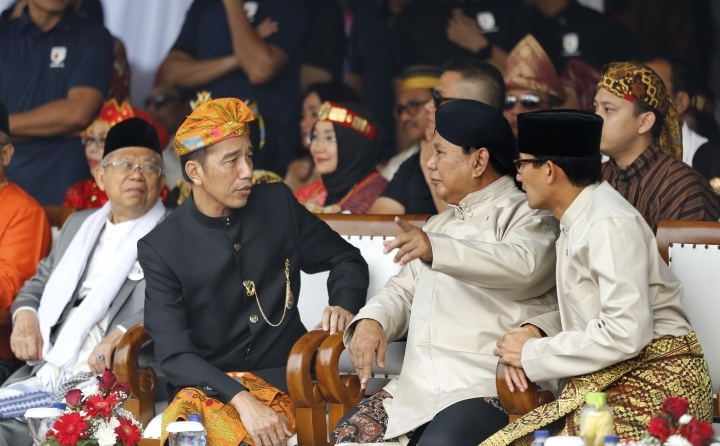 The election due in April pits incumbent Joko "Jokowi" Widodo against former general and ultranationalist Prabowo Subianto, who lost to Jokowi in 2014. 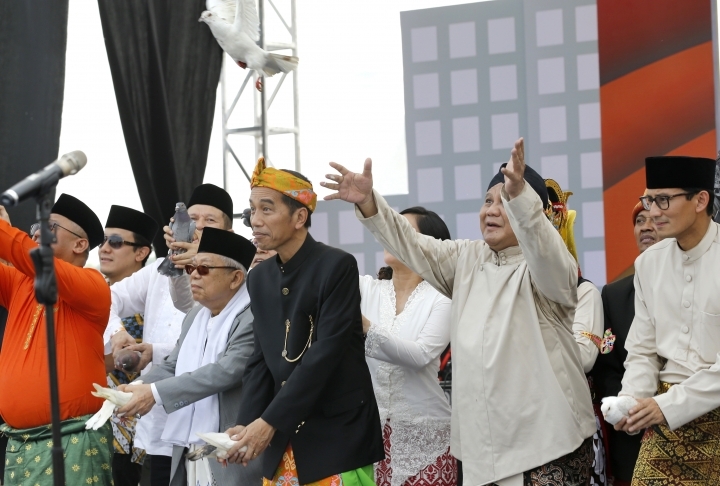 Dressed in traditional clothing, the candidates and their running mates paraded through central Jakarta on Sunday and released doves at a ceremony after reading out a peaceful campaign declaration. 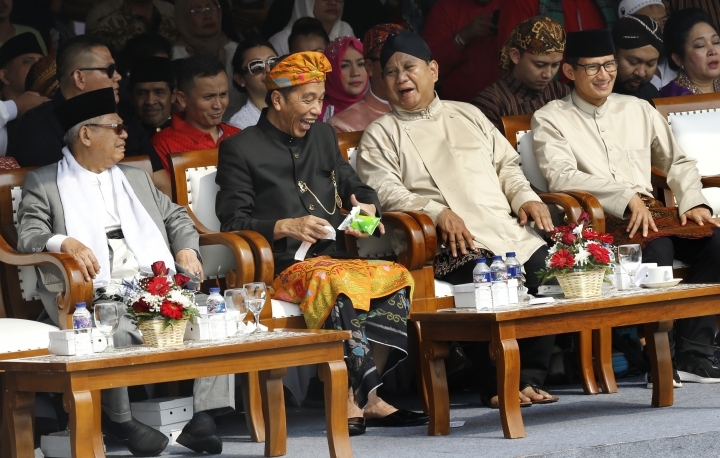 Jokowi, the first Indonesian president from outside the country's political and military elite, has picked conservative cleric Ma'ruf Amin as his running mate, aiming to neutralize criticism that he is insufficiently Muslim. 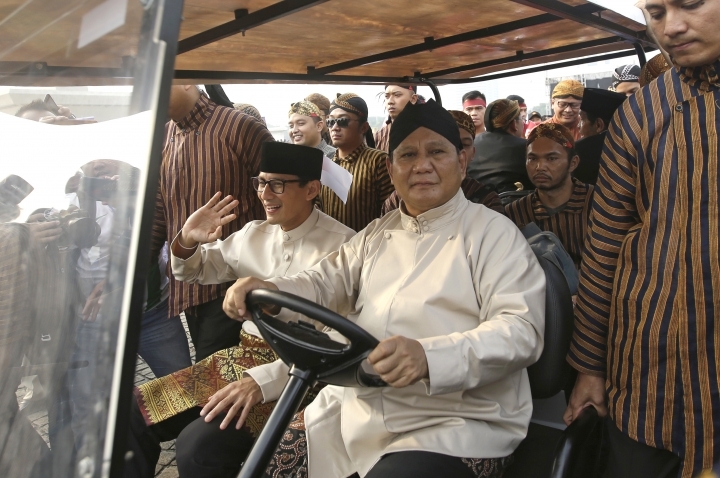 He has a big but not unassailable lead over Prabowo in polls and Indonesia's recent hosting of the Asian Games further burnished his image. With a population of more than 260 million, Muslim majority Indonesia is the world's third-largest democracy after India and the U.S. The country's image as a moderate Muslim nation has been undermined by flaring intolerance in the past several years, from the imprisonment of Jakarta's Christian governor, who was a Jokowi ally, for blasphemy to the canings of gay men in Aceh, a province that practices Shariah law. Most of Jokowi's five-year term has been spent balancing the demands of his moderate base, powerful Islamic conservatives, a complicated parliamentary coalition and the military, which has never completely accepted its diminished role following the end of the Suharto dictatorship two decades ago. Upgrading Indonesia's creaking infrastructure has been his signature policy but progress is uneven and many Indonesians still yearn for the strong-man type leadership represented by Suharto era figures such as Prabowo.